Our Plasser & Theurer 09-4×4/4S Dynamic tampers were deployed to the S&C North Alliance site at Sandy on LNE/EM route over the weekend. 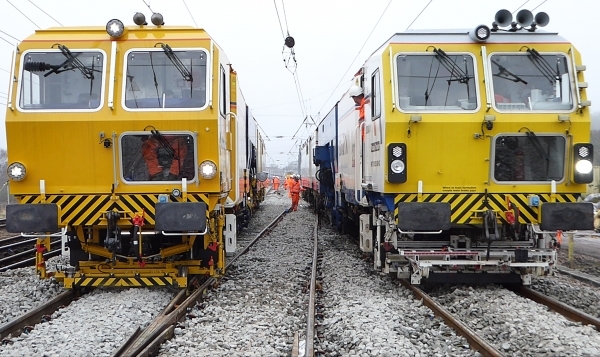 The two machines, which have incorporated Dynamic Track Stabilising (DTS) units, were connected by an umbilical cord and worked together to parallel tamp and stabilise the long bearers in what is believed to be a world first. SB Rail is delighted to have contributed to the handback of the Sandy S&C renewal at 125mph linespeed.